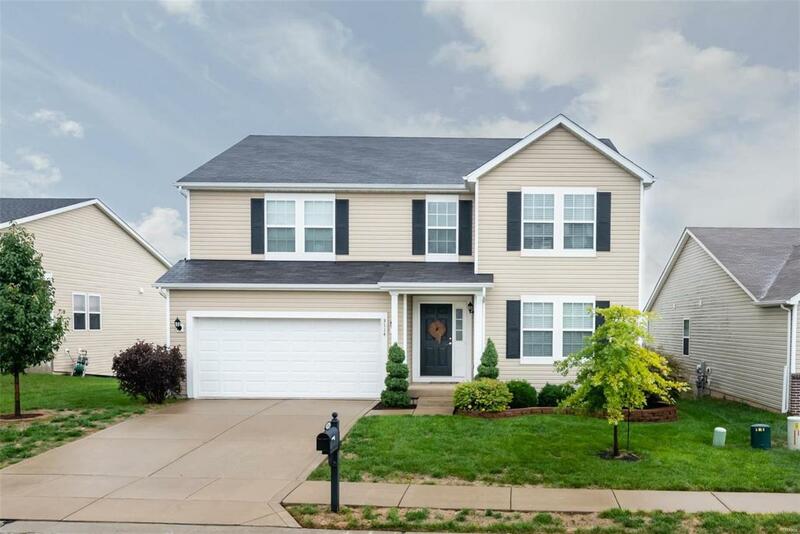 Spacious open floor plan in highly desired Preston Woods Subdivision! Gorgeous wood floors flow throughout your main floor as you enter through the spacious separate dining room being used an an additional living area. Updated open kitchen with 42in cabinets, glass backsplash,and stainless steel appliances and is wide open to your family room to make entertaining a breeze! Retreat to your master suite with large walk in closet and luxury master bath with soaking tub. Upper level also features a large open loft area, three additional bedrooms (two with large walk in closets). Walk out lower level has already been started for you, has half bath and just needs your finished touches. Enjoy your evenings and weekends on the deck or stamped concrete patio and firepit overlooking your fenced level backyard! Backs to common ground with subdivision playground right down the street! Subdivision features community pool/clubhouse, walking trails and playgrounds! Wentzville Schools!